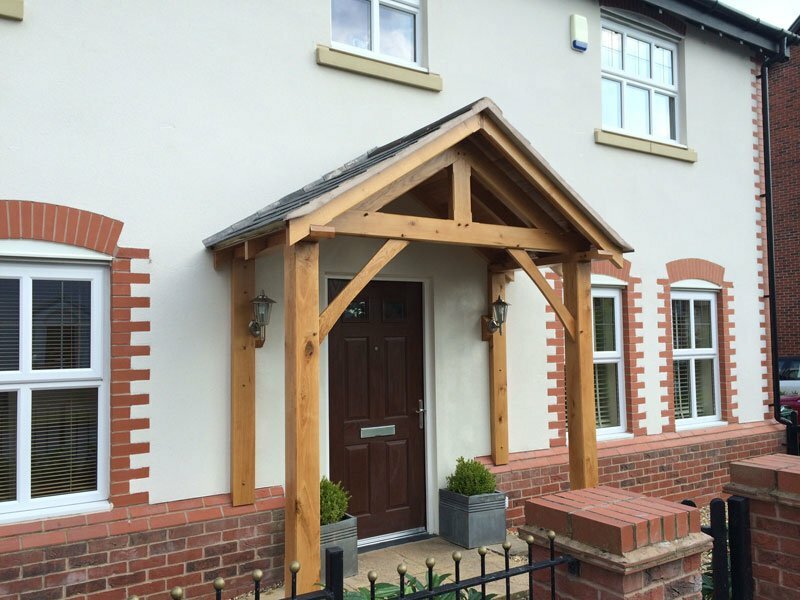 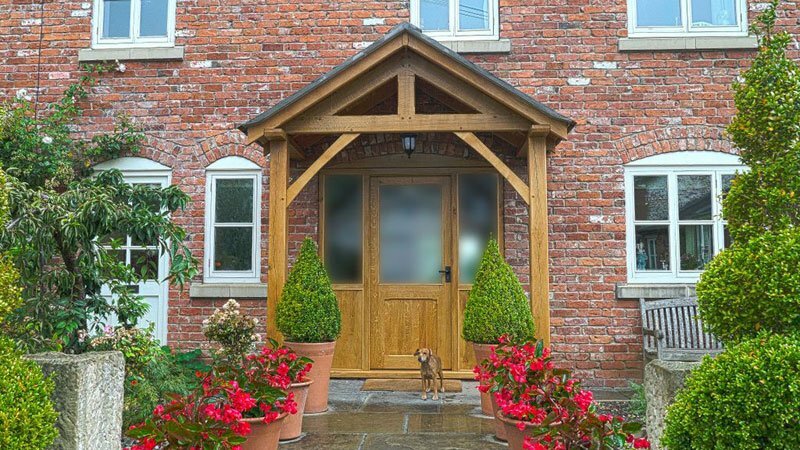 Beautiful handmade Oak porches available in two pre-set sizes, 2100mm or 2400mm high. 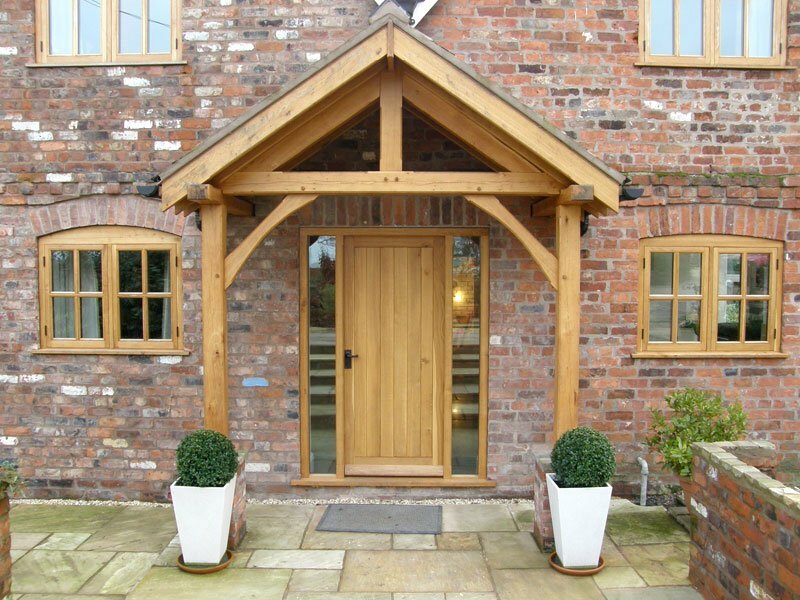 This is no longer available in Oak, but we stock the same design made from Redwood. 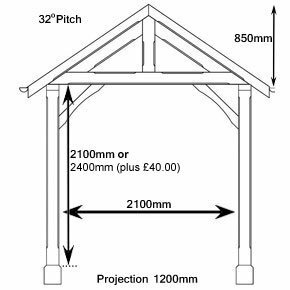 This design is also available in Redwood specifically designed for painting. 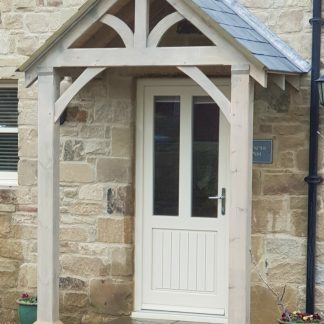 Get free delivery on staddle stones and boards when ordered with this porch. 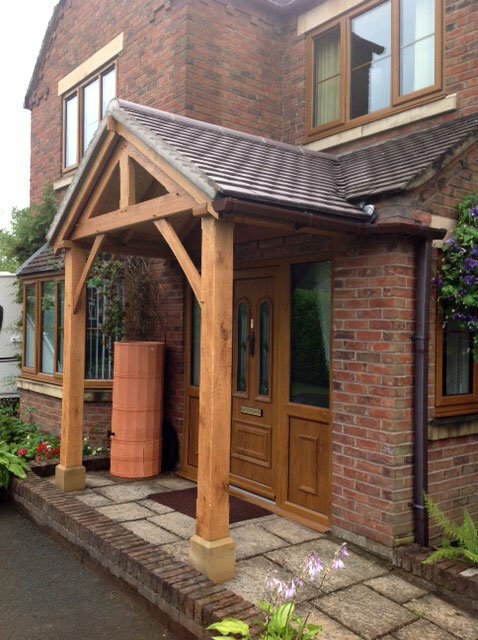 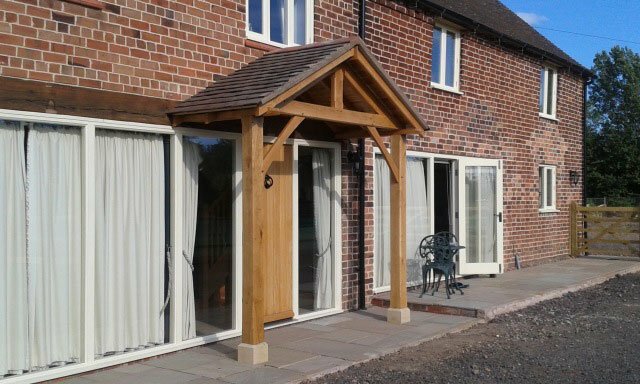 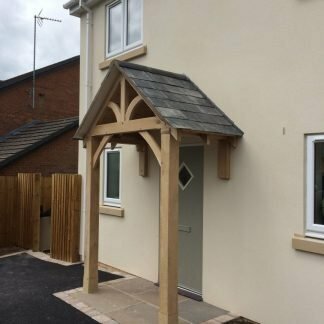 Shropshire Door Canopies produce beautiful handmade Oak porches with a bit of a difference from our competitors, All our Oak is Barn stored for 12 – 18 months before use. 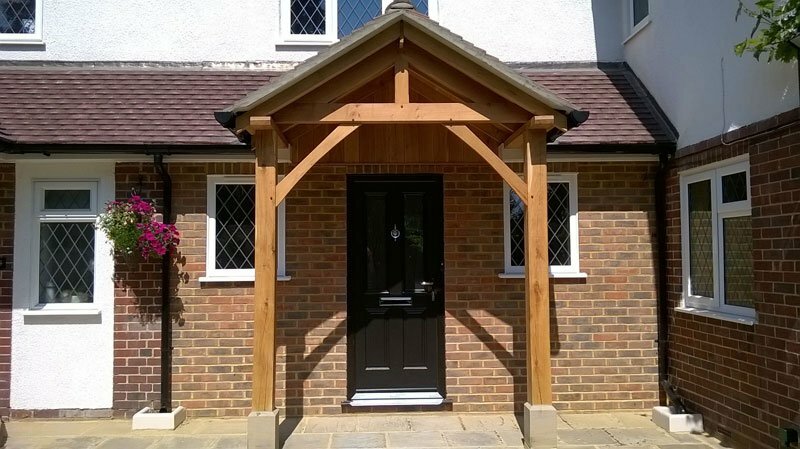 This makes it a lot more stable than “Green Oak”. 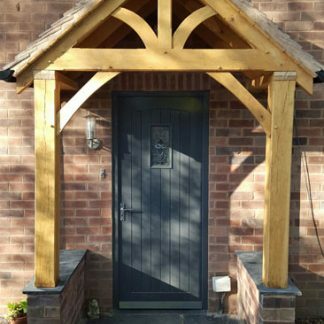 It also means that there is no real time limit from ordering to fitting. 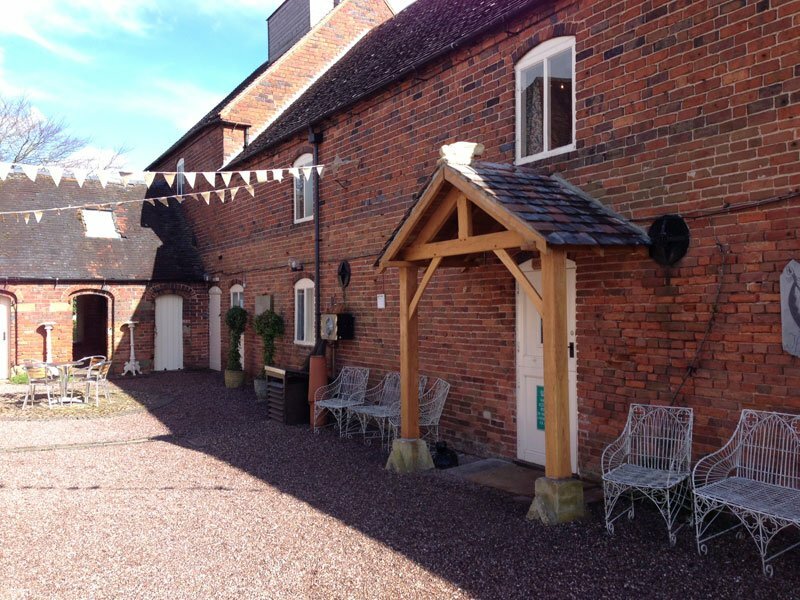 Please use our contact form if you want to check availability before buying. 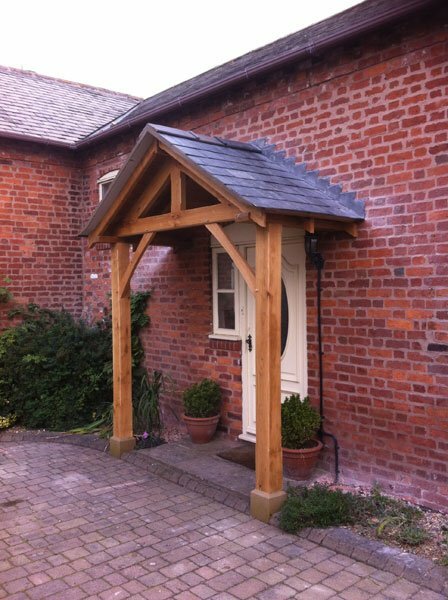 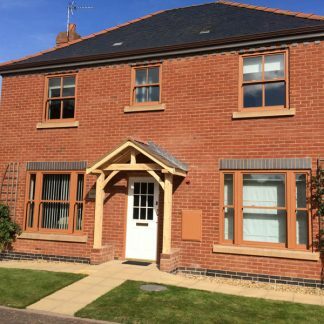 If the sizes of our standard porches are not quite right for you please see our bespoke page. 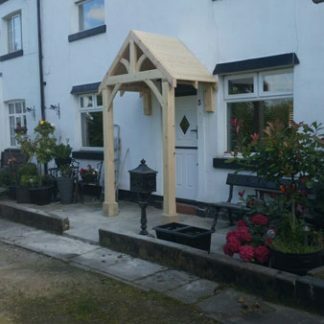 Add these accessories to your order and only pay for delivery of your porch!